The future of your nation could be decided as easily as the process you just completed. You will never hear this process mentioned as an option because it would take power away from those who REALLY have it. 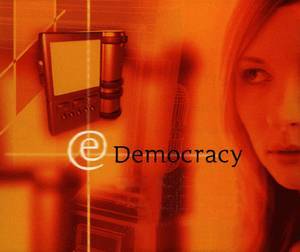 Sorry to tell you but it is NOT THE PEOPLE and as electronic democracy is now technologically achievable and (if implemented correctly and securely) THE PUREST FORM OF DEMOCRACY… and THAT is why it will never be an option… unless we MAKE IT HAPPEN.